The Ekco AluClad Lift and Slide Doors open up new horizons and let really large glass surfaces become reality. Fill your room with light with unobstructed views, the outside areas can be harmoniously integrated into one living area. 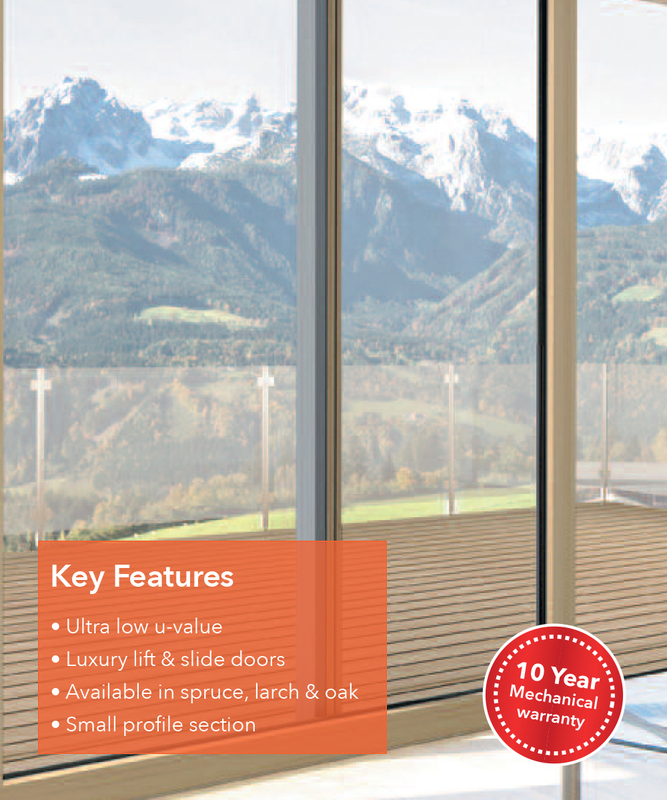 With its ultra-ease of operation and thermally divided low barrier free thresholds are standard luxuries. This system offers an extra-slim construction and entirely frameless fixed elements with delightful reduced sightlines. The inline series combine comfort, flexibility, security and design in a single product. The unique equipment details make these lift and slide doors all-round works of high-tech art. This system is available in many colours and wood stain finishes, creating beautiful combinations in aluminium and wood to both inside and outside. With u values as low as 0.7w/m2K is the perfect solution for Passive Housing.